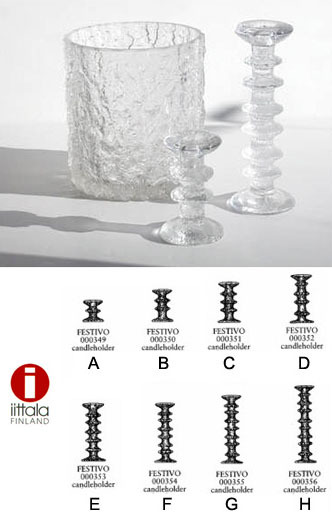 The super modern Festivo serries was designed by Timo Sarpaneva in 1966 for Iittala, Finland. A classic in the history of modern design! You are bidding on a brand new authentic Iittala item. A stylish alternative on your modern dining table! The renowned "Festivo" line represents the best of aesthetic sophistication in Finnish design. Timo Sarpaneva's original, unconventional design continues to win awards over 40 years after its debut. For everyday or festive use...in style.